This is truly one of BBQ best kept secrets, our Texas Beef rub brings you the best of Competition Texas BBQ. 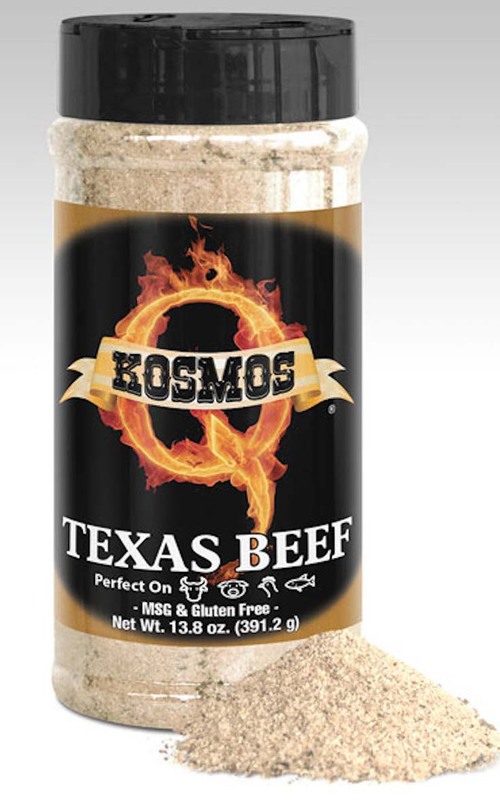 It is savory taste and well balanced flavor goes well on brisket, steaks, chicken, pork, and fish. Onion and lemony garlic join forces with a secret blend to produce some seriously Texas-sized flavor. Designed specifically to taste like home on the range (in a good way), Texas Beef Rub is our homage to grillin' how we think it should be: simple, flavorful, and (dare we say) tastes even better than what mama used to make. Don't mess with the Texas Beef Rub! MSG & Gluten Free. 13.8 ounce shaker.